It’s no secret that coastal homes are becoming more vulnerable to extreme weather and other effects of climate change. But the cost of living on the coast has remained relatively stable in waterfront areas of Miami Beach and the Northeast. That’s partly due to an influx of capital in the insurance industry that has increased competition and kept premiums artificially low, Bloomberg reported. 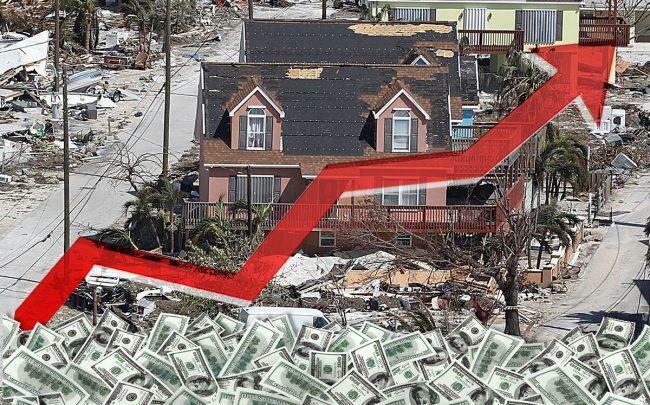 At the same time, homeowners in areas of the U.S. that will not experience flooding are subsidizing those who do live in flood zones through the national flood insurance program. Those premiums increased by 8 percent in April 2018 to $935 per policy on average. Meanwhile, residential prices and sales in coastal markets in the U.S. are on the rise. In Miami Beach, luxury home sales increased more than 60 percent year-over-year in the fourth quarter of last year. Home sales in Nantucket, a small island off Cape Cod, Massachusetts, rose 161 percent in 2018 compared to the previous year. And in the barrier islands off the coast of North Carolina, the average sale price rose 11.5 percent over the last three years, according to Bloomberg. A recent study by the U.S. Geological Survey found that around half a million California residents and $150 billion in coastal real estate are at risk of flooding by the end of the century.